These directions are for Extension employees only. 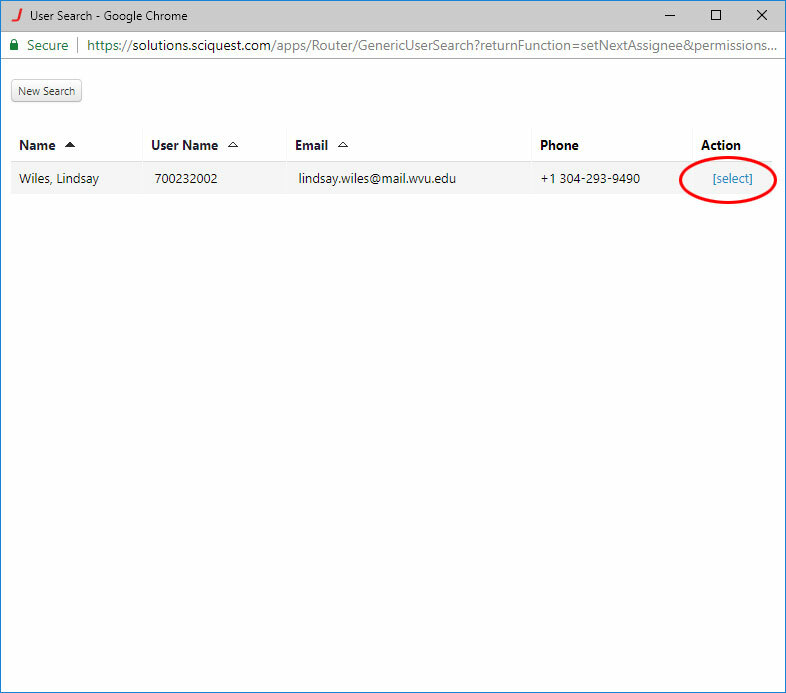 If you are with another college/unit, please contact your communicator regarding business cards. 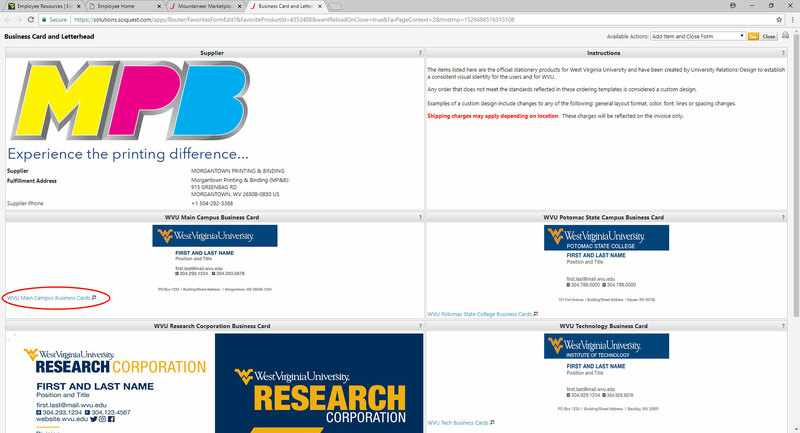 Go to portal.wvu.edu and sign in. 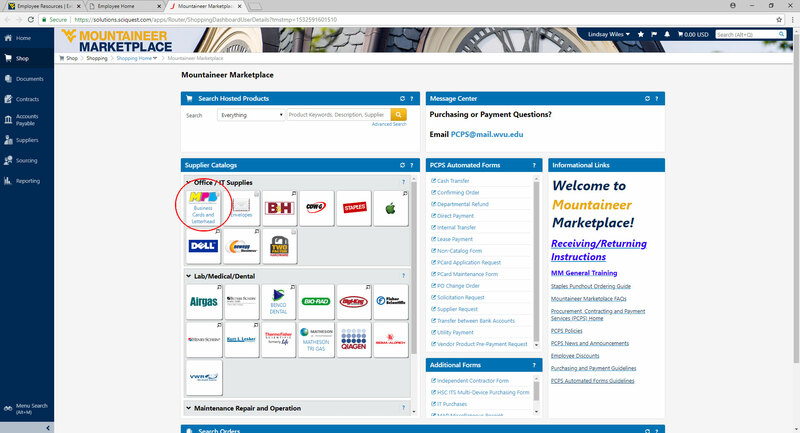 Under the Administrative Tools tab, click "Mountaineer Marketplace." 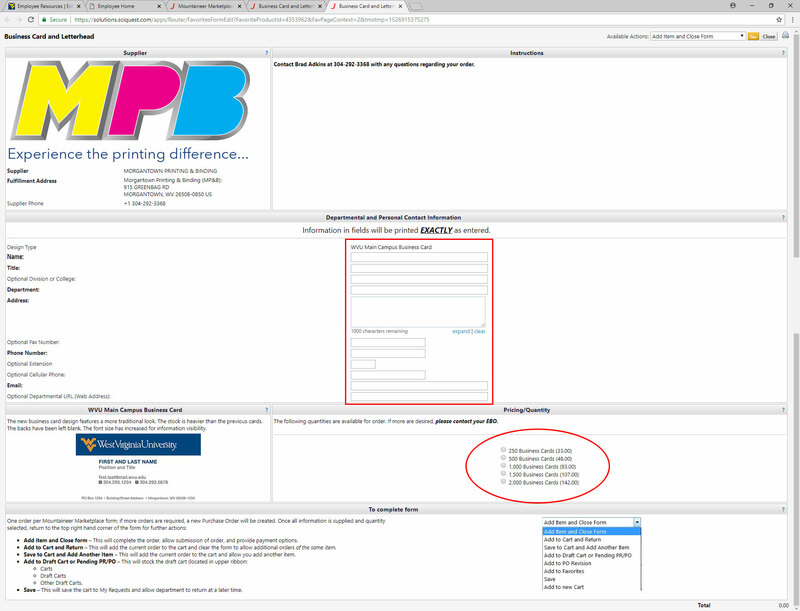 Once in Mountaineer Marketplace, select "MPB: Business Cards and Letterhead." 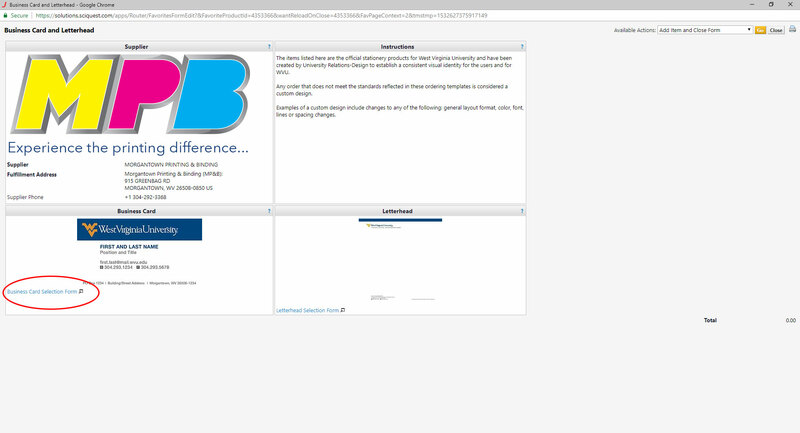 Click on "Business Card Selection Form." 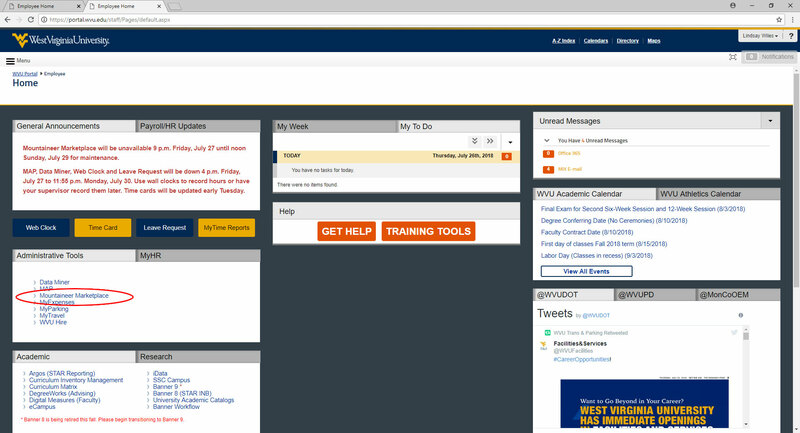 Click "WVU Main Campus Business Cards." 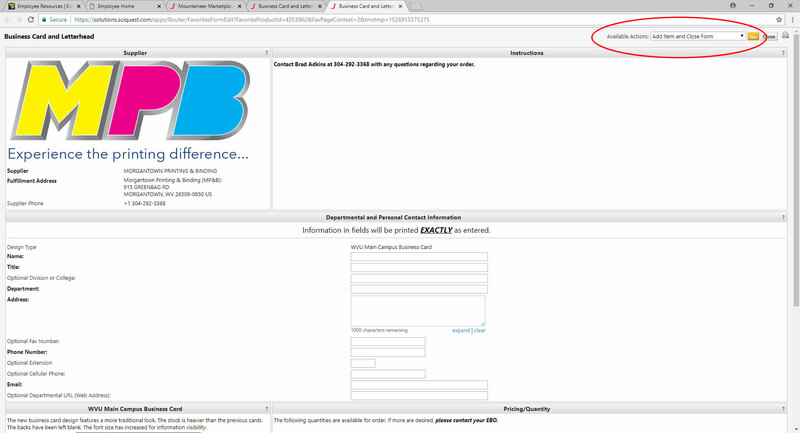 Fill out the form fields and select the quantity (500 is a good starting point). 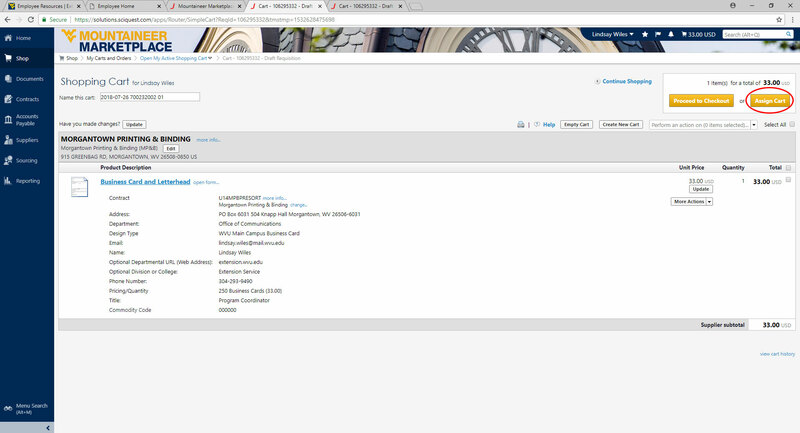 Scroll back to the top of the page. 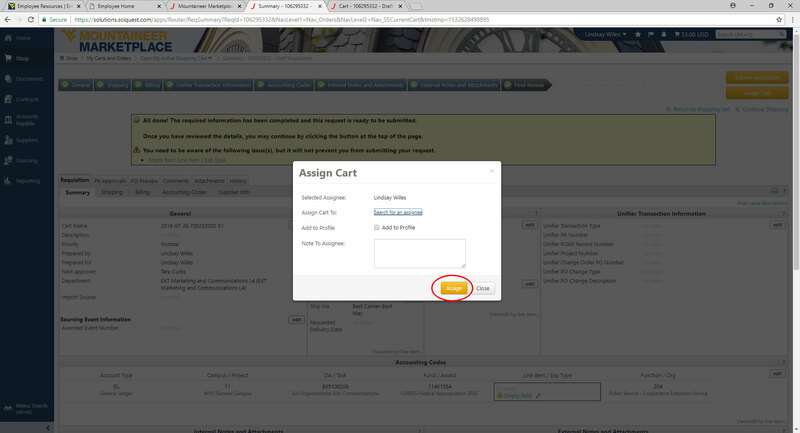 Under Available Action dropdown menu, choose "Add Item and Close Form." 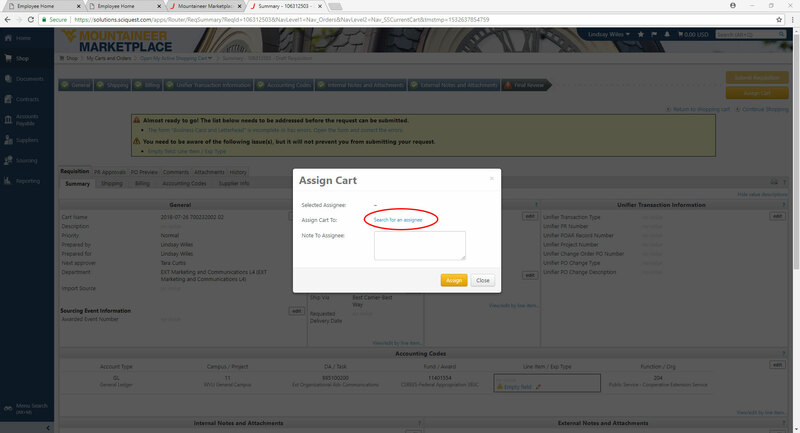 In upper right corner, click "Assign Cart." 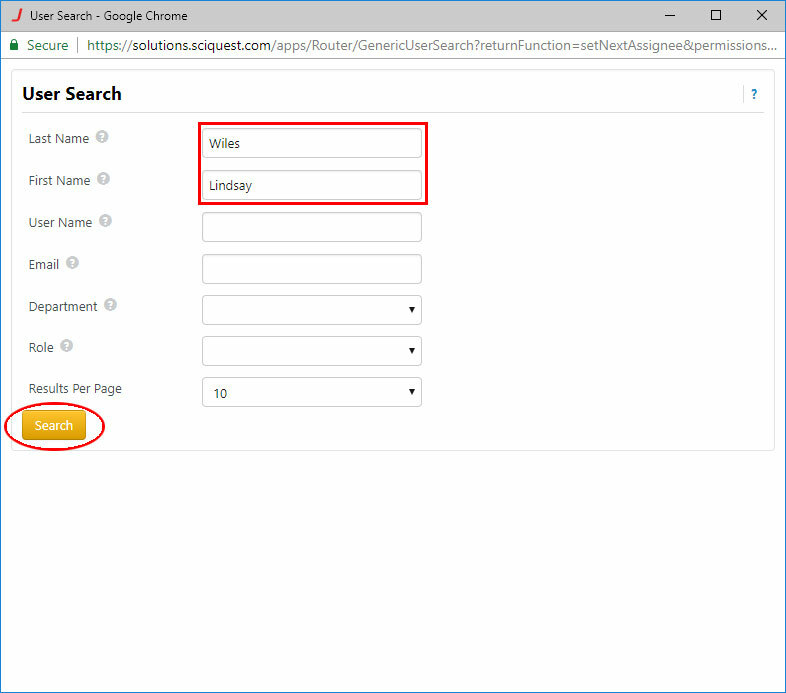 Type in Lindsay Wiles and click "Search."